The NDIS (National Disability Insurance Scheme) is all about enhancing equality and inclusiveness for those with disabilities to live normal, fulfilled lives. NDIS eligibility therefore usually covers a wide spectrum of cases and circumstances. It's worth investing the time and effort to see if you are eligible and get started on making an application. Many people find that they do have a right to claim and having access to these funds will dramatically improve their care and assistance – thus enhancing life! Life enabling is what Beacon Support is all about, which is why we are also an approved provider for the scheme. 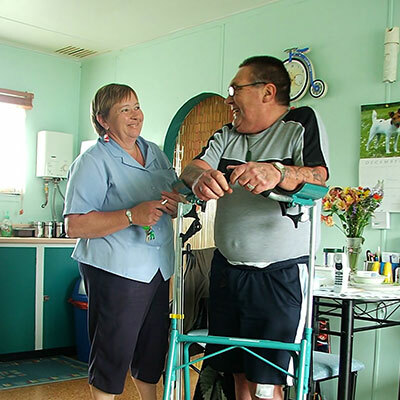 We believe that everybody should be entitled to the assistance that they need regardless of their situation. We'll endeavour to support you along your claim journey so you will never feel alone. How can Beacon Support assist with NDIS eligibility? First and foremost, we are an approved NDIS provider so if you need assistance then speak to us. We like to speak to people individually to talk you through NDIS – you can do that by calling 1300 435 782 or use the Contact Us page on our website for. We will be happy to help you along your journey to determine your NDIS eligibility and connect you to the care you need.